Product prices and availability are accurate as of 2019-04-23 18:10:27 UTC and are subject to change. Any price and availability information displayed on http://www.amazon.com/ at the time of purchase will apply to the purchase of this product. 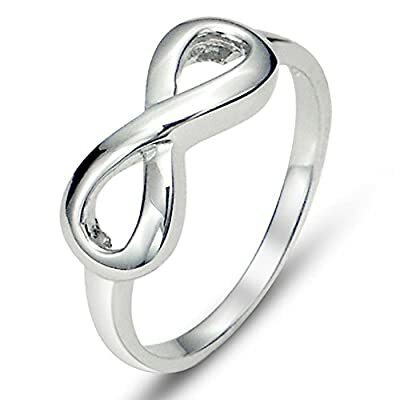 This classy sterling silver band ring features a infinity sign that symbolizes the eternity of love. Rhodium plating to prevent tarnishing. The Infinity sign is 6mm wide and the band is 3mm wide.